It is no secret that the US and Iranian positions on the final nuclear agreement are far apart. The US is effectively demanding Iran to dismantle most of its sensitive nuclear facilities, and Iran has been rightfully against this position. There are two main issues that the American negotiators have been pressing Iran for the final agreement: (1) uranium enrichment and (2) plutonium reprocessing. Both are well known techniques for developing the necessary fissile material for a nuclear bomb, if a country decides to that. Since Israel used their heavy water reactor, similar to Arak, to make their initial atomic bombs, they have been the force behind the unreasonable inflexibility on the Arak reactor. Israel’s hardened position on complete halt of the Arak reactor construction insisted by the French Foreign Minister Laurent Fabius on their behalf; almost derailed the draft agreement that American and Iranian negotiators had accepted after months of secret backdoor diplomacy in Yemen. The interim agreement demanded a temporary halt while the final agreement is being negotiated. Current design of the Arak heavy water reactor produces about 10 kilograms of plutonium annually that by further reprocessing can be turned into the fissile material for a bomb. But Iran does not have the technology to reprocess Arak reactor’s spent fuel rods to extract the pure plutonium; every IAEA report has restated this point. 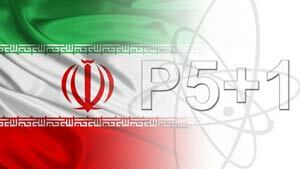 The Iranian position has been that Arak has to stay a heavy water reactor for the final agreement but designs that will reduce the plutonium production considerably maybe acceptable. The last redesign proposed by Iran reduces the plutonium production to 1/10 of the original design, effectively making it 10 long years before the critical amount of a single bomb can be accumulated. This new proposal should be more than enough to allay any concerns about the Arak reactor. It will be a major failure of these talks if the Arak reactor with the new revised design is not acceptable by the Americans. Iran is far more advanced and has more experience in the uranium enrichment technology than the plutonium route. Close to 20,000 centrifuges have been installed and almost half of them are currently being used for enrichment at the Natanz and Fordo sites. The popular term used to express the US concern regarding the uranium enrichment is the “breakout period.” This is defined to be the amount of time it will take for Iran to have enough weapons grade uranium for one nuclear bomb, which is about 25 Kilograms of Highly Enriched Uranium (HEU). This time frame represents the most pessimistic point of view, since it does not take into account all the necessary steps for making a nuclear weapon from the initial HEU. Unfortunately, the US government and the Congress have relied on the breakout period as the only parameter that could be used to reach the final agreement. Some of the key steps for a country like Iran with no prior experience will add months to have that first test bomb completed. The North Korean’s experience demonstrates that it will take at least several attempts before there could be a viable nuclear weapon device. Their very first nuclear bomb test failed, resulting in a much lower yield, some even called it a “nuclear bomb fizzle.” Not to mention the miniaturization step that is essential for mounting a compact nuclear device on top of a ballistic missile. It is not even certain whether North Koreans after 8 years, since their first nuclear bomb test in 2006, have mastered that extremely difficult step or not. It is obvious that even if Iran were to dash through the breakout period and accumulate the necessary fissile material, this violation of NPT will be rapidly detected by the IAEA inspectors and cameras. The US will have ample time to head off any follow up steps that may lead to a test bomb. Therefore, focusing on a long breakout period of 6 to 12 months, and demanding dismantling of more than half of Iran’s operating centrifuges, as has been suggested by some of the nonproliferation experts, is a non-starter for the Islamic Republic and will keep the two sides very far apart. The best way to deal with the enrichment issue is to have a final agreement where Iran can gradually increase enrichment facilities in terms of number and types of centrifuges from the current level to an industrial level, over a period of no longer than 5 years. In the meantime, in order to prolong the breakout period, Iran has to agree with exporting almost all of the Low Enriched Uranium (LEU) material during this period. Iran could convert the LEU to the oxide form and make fuel rods for sales in the open market with the IAEA’s supervision and reactor manufacturer’s specifications. This strategy will prove the point that Iran wishes to be a responsible member of the Nuclear Suppliers Group. Moreover, Iran has to agree to the IAEA intrusive inspections under the Additional Protocol (AP). The time is running out for reaching a final agreement. If the Republicans retake the senate this November, as many have predicted, it will be very unlikely that they will agree to any meaningful enrichment in Iran and that will be the end of any potential agreement between the Islamic Republic and US on the nuclear issue.